Coconut milk adds a light, delicate flavor to curries, soups and other dishes. 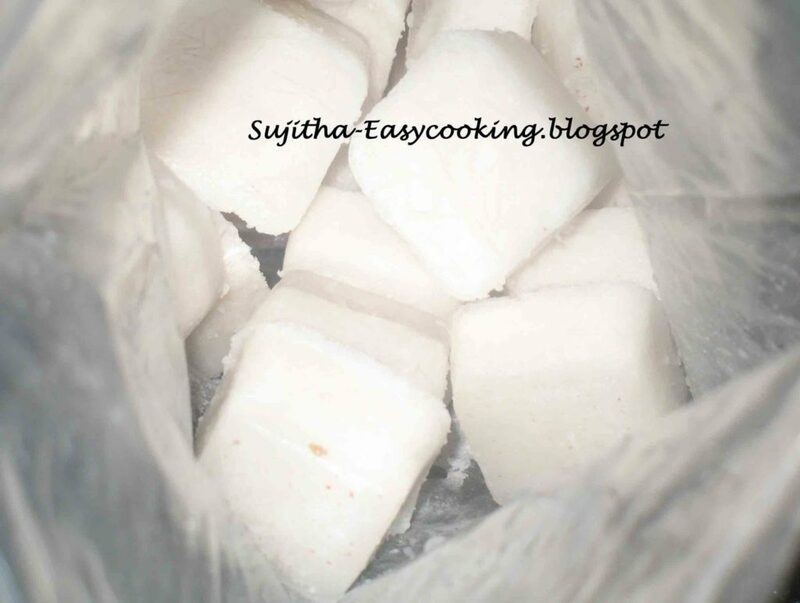 Coconut milk does not last long – refrigerate and use within two days at most. But Coconut milk can be frozen. 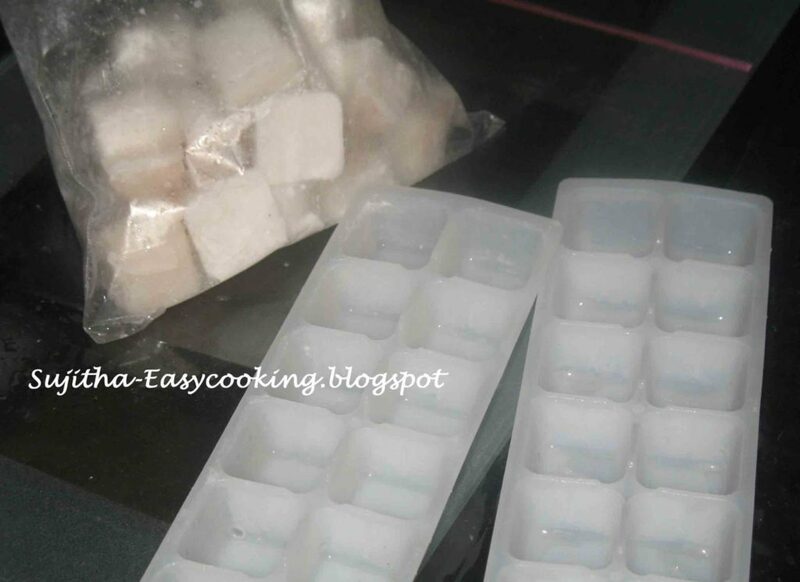 A handy trick that I also use with stock is to pour the milk into ice cube trays to freeze. One cube is the equivalent of about one ounce. 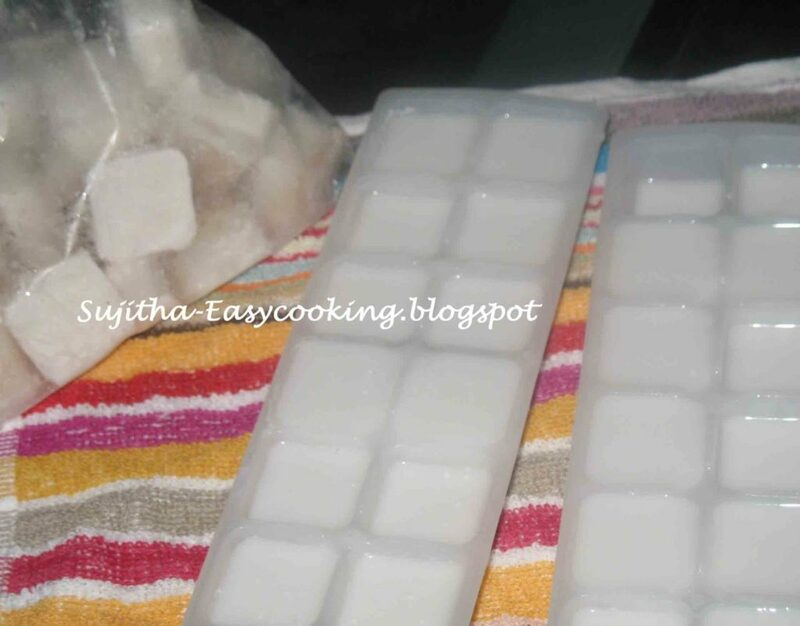 Working women will struggle in extracting coconut milk in busy morning….. Week end is the perfect time to make Coconut milk- ice cubes, masala for poriyal, theiyal, puli kulambu, here is the best idea to preserve the coconut milk, extracting coconut milk or leftover coconut milk from weekend one pot meal can be preserved and used in fish curry, parupu curry, chicken curry, kuruma’s.. coconut milk gives rich taste for your dish.. 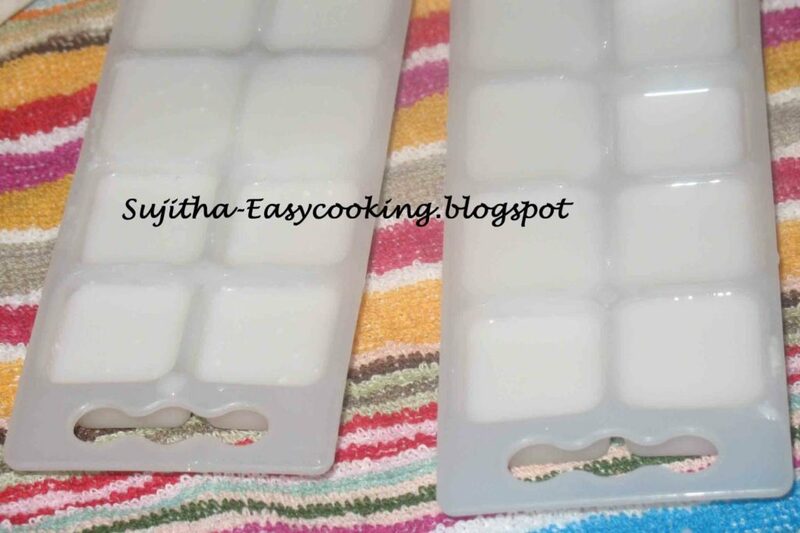 I usually Make this Coconut milk icecubes, and masala’s in my week end.. even i’ll boil some dhal for sambar & paruppu curry in week end and store it in my first rack of my refrigerator… Really this idea is handy in my busy morning…. 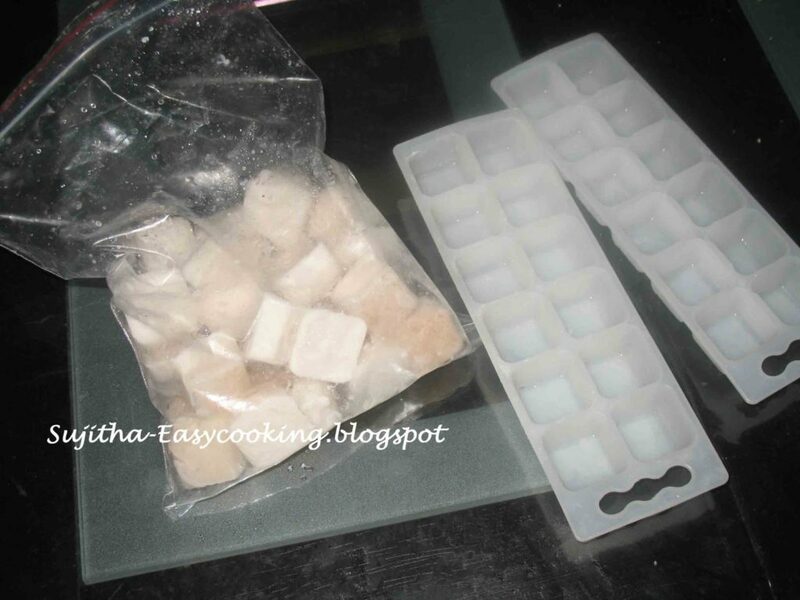 Preserving is important… coconut milk cubes will be fresh for more than 2 weeks, should be store in zip-lock covers or air tight containers…. grinded masalas can be store in small containers…. keep in freezer……….